We went to see a football game in Nashville today. 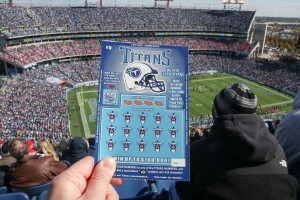 The Tennessee Titans were playing against the Indianapolis Colts. Before the game our couchsurfing hosts took us tailgating in the stadium’s parking lot. 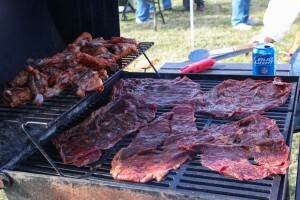 Tailgating involves drinking beer and having a BBQ at around 9 o’ clock in the morning. Good times. While sipping away on our cans of Bud Light we met Scott, a friend of our hosts and a firm Republican. We had some really interesting conversations with Scott, a project manager in the construction business. No one else we’ve met has argued so passionately that the government should stay out of his life as much as possible. Its role is to “build roads and bridges and to keep the hospitals open”, he said. All social and religious issues should be private. The government would only provide a basic level of benefits: “Nobody will be cut out”. The rest of the guys we were tailgating with seemed to agree. We were all standing around the charcoal BBQ to warm our hands because the temperatures were very low in the morning. At least the beer stayed cold. The chicken wings and the fajitas, our breakfast, were excellent. “We’re all voting Republican here”, one of the guys said proudly. Republicans are better for businesses, that was one of their explanations. Another line of argument went like this: The United States have prospered for so long because the land provided opportunities and resources for everyone. These are now drying up. The Democrats are trying to limit people’s opportunities even further by increasing centralized control, instead of giving them the freedom to pursue their goals. “Big government” is bad – that’s the message we took away from this conversation in the parking lot. The game afterwards was fun (although Sarah admits she found the tailgating more entertaining). 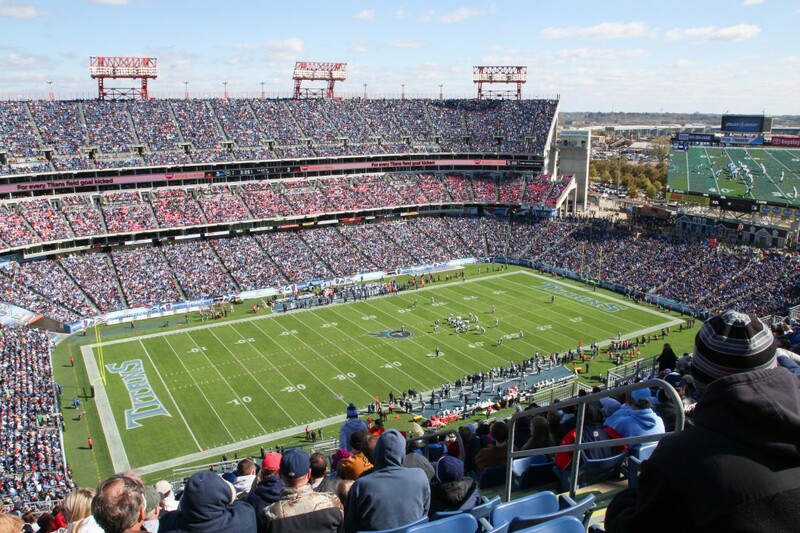 The Tennessee Titans were in the lead for most of time until the Colts scored an equalizing touch down in the fourth quarter. They went on to win the game in overtime, thanks to an acrobatic feat by running back Vick Ballard. Before kick-off we got a real taste of American patriotism when everybody got up to sing the national anthem and two fighter jets flew across the stadium. Later the fans stood up again to greet a group of veterans on the field. “Big Government” IS bad, but compared to most other OECD countries the US is far from this state of affairs. So, what was your line of argument then? Was there a way to argue? Wir haben (wie auch in anderen Gesprächen) zu bedenken gegeben, dass nicht jeder in Amerika die gleichen Chancen bekommt und dass die Regierung den Armen und Benachteiligten helfen muss. Auf einem sehr geringen Niveau lassen dass die Republikaner vom Parkplatz auch zu. Grundsätzlich schienen sie aber zu glauben, dass jeder für seine Situation selbst verantwortlich ist. Ein interessanter Moment während der Unterhaltung: Scott hat sich über die Monopolstellung großer Baufirmen in seiner Branche beklagt. Ich habe ihn leider nicht gefragt, ob er in dem Fall nicht dafür wäre, dass die Regierung regulierend eingreift. Aber schön zu sehen, dass ihr offensichtlich Spaß und eine spannende Reise habt. Find ich gut.